Health, safety and respect for our environment are central to Iron Pine Contracting’s company culture. We are committed to keeping our employees as safe as possible while minimizing our impact on the world around us. All of our employees receive on-the-job training and mentorship, and we encourage them to continue learning and improving their skills. We have mandatory safety orientations, hands-on supervision and regular face-to-face meetings where safety concerns are brought to management’s attention. We have qualified safety auditors on staff, and we require our employees to follow all rules and regulations. Nobody does safety like Iron Pine. This commitment carries over to the environmental side as well. 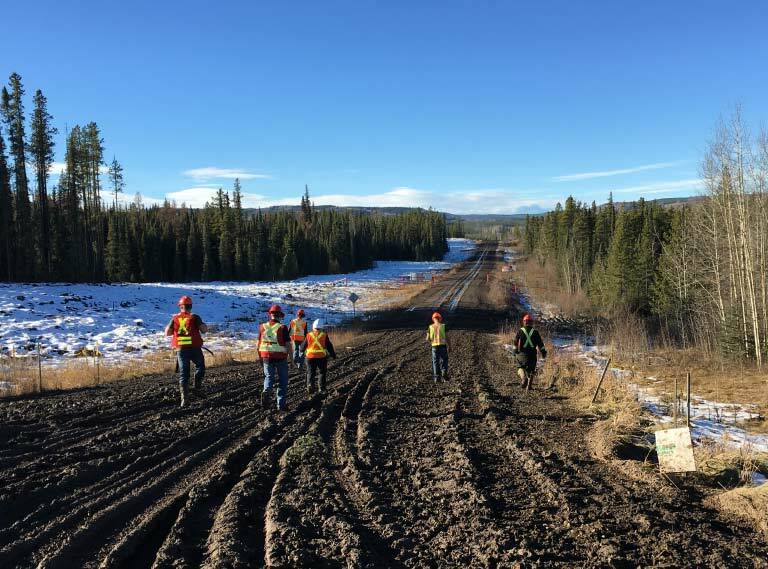 There are many environmental regulations to follow while working on remote job sites like ours, and we don’t cut corners when it comes to our workplace practices. All of our cutblocks are replanted and brought back to their original state, ensuring the continued health of both our forests and our industry. We are proud of our reputation for safety and environmental protection, and would be happy to discuss our practices. CALL US AT 587-259-0006 TO SET UP A MEETING—WE’D BE HAPPY TO DISCUSS YOUR NEXT PROJECT.